We are Georgia’s designated public liberal arts university. Welcome to the nationally preeminent public liberal arts university where a practical education meets life-altering, real-world experiences. 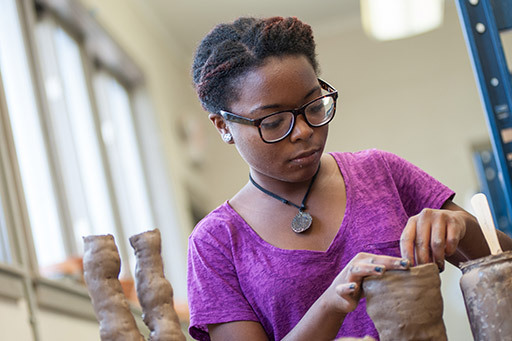 Cultivate your career and discover the boundless ways to thrive at Georgia College and beyond. We open minds and broaden perspectives so that you’re equipped to thrive on complexity, diversity and constant change. Our respected professors are committed to your success, and they’ll act as your guide along your journey to becoming a versatile, talented professional. Our beautiful, historic campus offers an inspiring academic environment fitted with a close-knit community and a strong sense of campus pride. First Marshall Scholar at GC shares how liberal arts prepared him for an unexpected journey. At Georgia College, what you learn in the classroom progresses your career and empowers you. Explore the limitless ways to go beyond the classroom through service learning, study abroad, internships, undergraduate research and more. Our classes are small to give you the personal attention a liberal arts institution fosters. You’ll learn from talented professors and from your peers, too. Discovery, critical analysis and practical education—it’s all standard at Georgia College. Your unique talents will guide you in your pursuit of leadership opportunities. Use your perspective to solve community issues, discover new ways to give back or start a new organization. Everyone here cares about something—from arts to academic drive, you’ll have opportunities to define what matters to you. Discover what our student life has to offer. 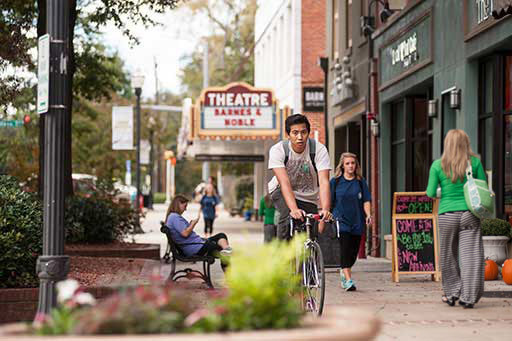 Campus is an essential part of historic, downtown Milledgeville. Find your way around with our interactive campus map. Transportation is easy, so you’ll have no problem taking in local restaurants, cultural events, outdoor fun and more. Find information on admissions deadlines and how to apply. Find information for newly accepted transfer students.